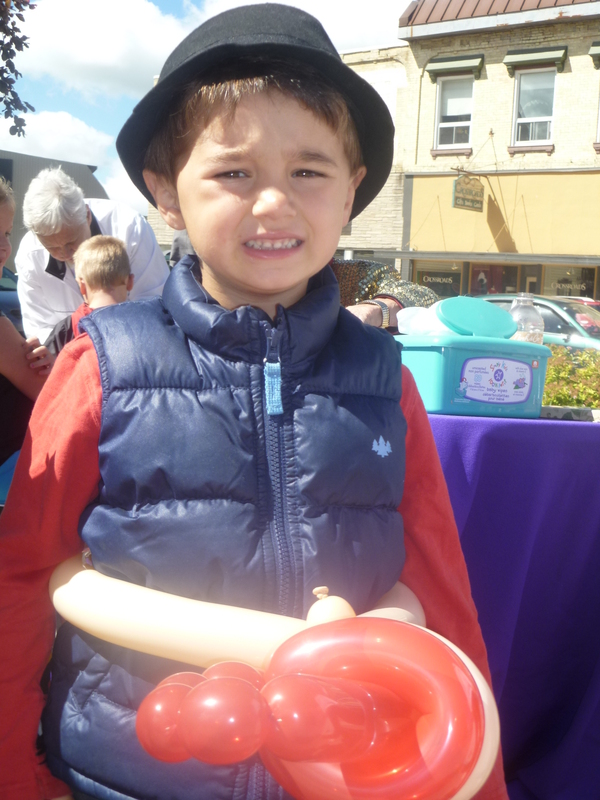 There are vendors who sell fresh meats, fresh baked goods (including gluten free), cheese, maple syrup and honey, farm fresh eggs, as well as home made crafts and one of a kind items. The main feature, however, is the farmers and their fresh picked fruits and vegetables. 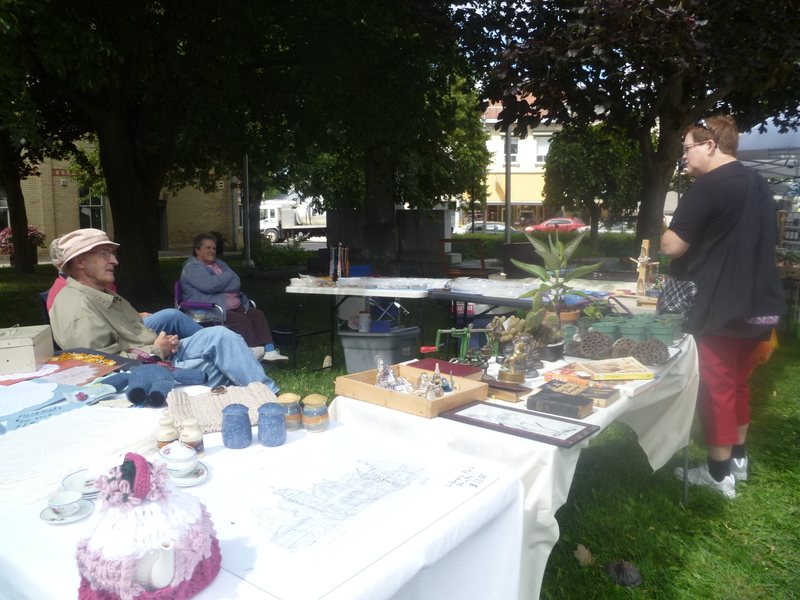 Averaging ten vendors each week, the market can easily accommodate up to 20 and hopes to encourage more vendors from Central Huron. 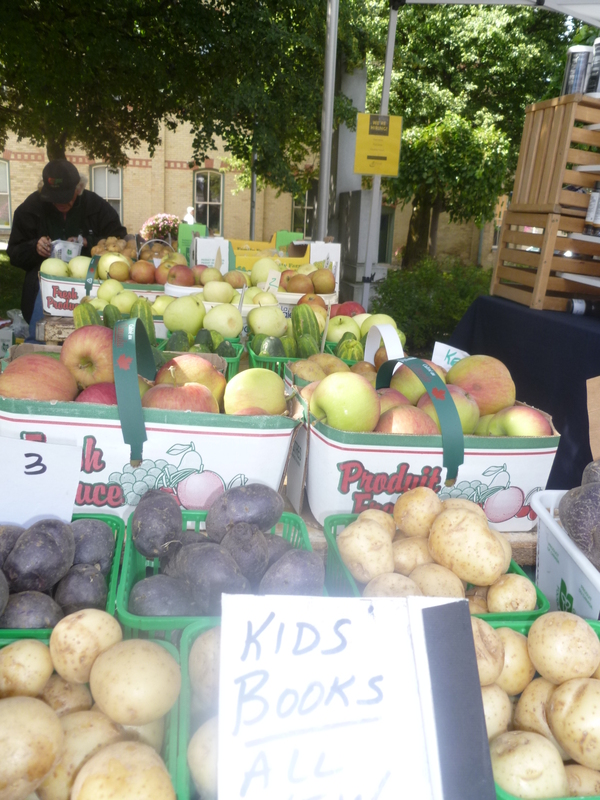 Check out some of the local flavour featured at the Farmers’ Market. And, if you’re gluten free check out the Almond White Chocolate Coconut Squares from Humble Roots Bakery – I can vouch for them … they are quite tasty. 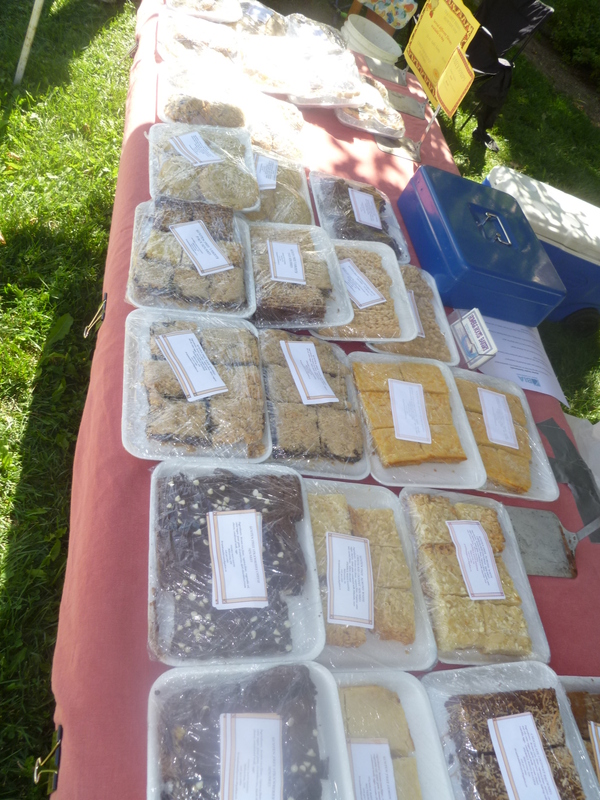 Gluten Free, Lactose Free and reduced sugar baking from Humble Roots Bakery in Milverton. Ross Dobie of Auburn sold frozen meats and fresh vegetables for a Hurno County-based Mennonite friend. 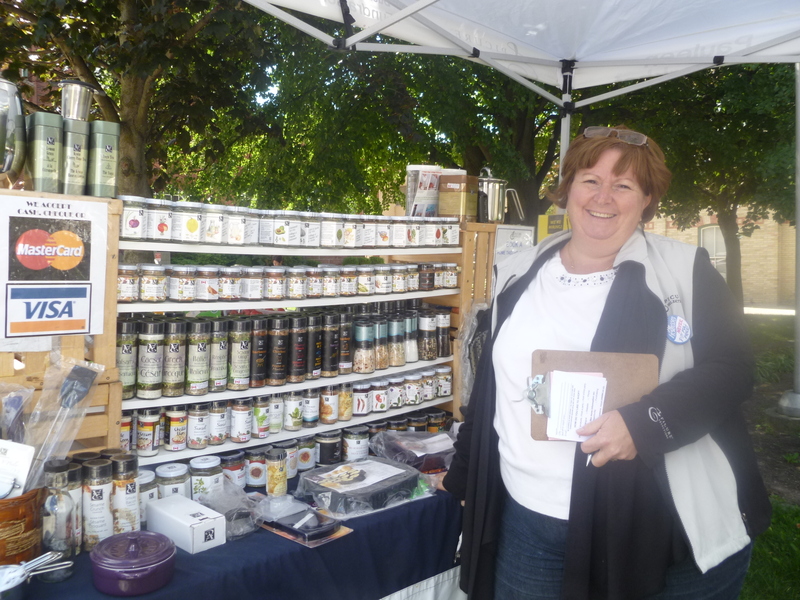 Pauleen Kerkhof, a local Epicure consultant is a regular vendor at the Market.